Can I affordfees & costs? Are you stuck inside a new home infested with mold? Are all the roofs on the houses in your HOA falling apart? Has shifting soil sent your foundation sliding? Call our Colorado construction defects attorneys for help today. Disputes over construction defects can be contentious and complicated – and it does not help that the laws seem to be changing constantly. Call us directly at (720) 689-1116 or fill out our FREE Case Evaluation form right now so we can help protect your family’s largest investment – your home. Click here for a more comprehensive list of our CASE AREAS. You can also reach out to our Colorado construction defect attorneys right now by calling (720) 689-1116! Unlike most commercial transactions, the exchange between a builder and a consumer is unique in that the builder is also the seller, and – at least according to the Colorado Supreme Court – “they are not in an equal bargaining position and the buyer is forced to rely on the skill and knowledge of the builder.” Because of this, Colorado has struggled for years to balance the rights of both builders and buyers when negotiating disagreements between them. If you need a construction defect lawyer, fill out a Free Case Evaluation form before it is too late! The most frequent disputes stem from construction defects. In Colorado, a construction defect is defined as any “defect in the design or construction of any improvement to real property that causes any damages to, or the loss of use of, real or personal property or personal injury.” It sounds straightforward, but in this kind of litigation, it’s anything but. It can even be a struggle to reach a consensus on just what a construction defect is. Patent defects: those that are readily apparent or visible to the naked eye. Latent defects: those that are not obvious or simply are not visible. Defects can range from structural issues such as foundation problems to simple issues such as crown molding or incorrect paint color. 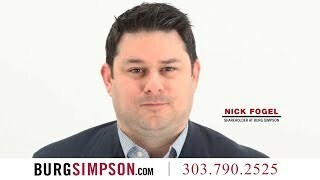 Burg Simpson’s Denver construction defect attorneys have been fighting for the rights of homeowners and homeowner associations for more than 20 years. And not just in Colorado. 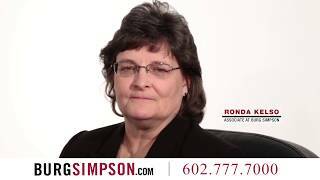 Burg Simpson is a nationally recognized leader in construction defect litigation. One of the most significant investments most people will ever make is purchasing their home. 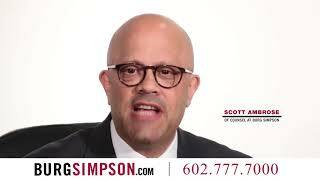 The construction defect attorneys at Burg Simpson believe you should get what you pay for. Our attorneys have fought for homeowners for decades and have been recognized as a leading construction defects law firm. Our construct defect attorneys have successfully represented thousands of homeowners. Most people do not realize that you do not have to be the original buyer of your home to pursue recourse against the builder or developer if construction defects appear. You could also have a claim against anyone else involved in the construction of your home, from the sub-contractors to the suppliers. We care about more than just a check. We will work hard to get construction defects repaired permanently so you do not end up in the same place two years from now. We help homeowners identify qualified professionals to evaluate the problems, assess repair alternatives and realistically estimate costs. Because these cases can take time, we also help homeowners deal with emergency repairs until we reach some kind of resolution. Litigation can be costly and time-consuming. In these cases, we strive to negotiate an amicable resolution with the responsible parties, before it makes it to a courtroom. However, that is not always possible. We are willing and able to pursue a lawsuit to its conclusion, including appeals and the resolution of any lingering insurance coverage issues. Tell us the details of your case now by filling out a FREE Case Evaluation form here. In the first few years after a new residential development is finished, builders and developers control homeowner associations (HOA). What they want more than anything is to limit the repairs they have to make. When the residents finally do acquire control of the board, they are usually stuck with the repairs and the bills. We can help homeowner association boards find experienced construction professionals to evaluate problems and make repairs. Before heading to litigation, we work with our clients to settle issues with builders and developers. Negotiation can be a much more cost-effective way of resolving construction defect problems. Colorado courts and lawmakers have been wrestling with the finer points of construction defects law for decades. One of the biggest changes over the last several years has been an orchestrated effort to scale back homeowners’ rights. The most dramatic of which has been to slash the statute of limitations to two years. The clock starts ticking “after the claim for relief arises,” which is defined as when a homeowner discovers (or should have discovered) a construction defect. This statute applies to each defect separately. Additionally, these cases can take a long time to negotiate – and even longer to litigate. So time is of the essence. Our Denver construction defect attorneys have handled dozens of these cases over the years. We have dealt with developers, builders, and building material manufacturers. If you have noticed anything strange at all, or if someone in your home has been injured by what you think is a defective design or assembly, call one of our Colorado construction defect lawyers before it is too late at (720) 689-1116 or talk to us for FREE. This area of law is complicated and it can get increasingly technical. So it is understandable that you might have questions about whether you have a case and what your rights are. We have assembled a comprehensive, approachable FAQ here to help explain some of these issues better. Reach out to one of our experienced Colorado construction defect lawyers. Every case is different. Call us at (720) 689-1116, or fill out our FREE EVALUATION FORM today.